Prof. Swarup combines metabolomics with diverse approaches to understand plant and microbially-driven processes in the environment. He is among the pioneers to have integrated genetics and metabolomics approaches for applications in several plant-microbial processes such as - “rhizosphere metabolomics” (2002, 2003), and recently in elucidating chemicals arms race in rice blast disease (Nat Chem Bio 2015), metabolites conjugation in plant immunity (Plant Physiol 2016) and the volatiles pathways in Durian (Nat Genetics 2017). His team has been integrating nextgen sequencing and metabolomics approaches to study the functioning of complex open environments such as urban surface water systems (Environ Sci & Tech 2015) and microbially-induced CO2 emissions from tropical peatlands (Biogeosciences 2014). Prof. Swarup holds PhD degrees in Genetics and in Plant Pathology from India and USA, respectively, with Postdoctoral experience at the Waksman Institute, USA and visiting scientist position at the Lawrence Berkeley National Labs USA. He is currently an Associate Professor at the National University of Singapore and holds additional responsibilities as the Deputy Director, NUS Environmental Research Institute and Deputy Research Director at the Singapore Centre for Environmental Life Sciences Engineering. Asst. 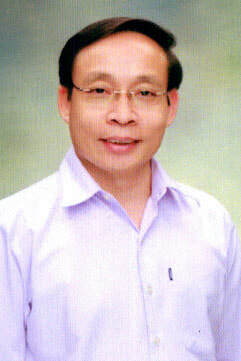 Prof. Dr. Tewin Tencomnao is a lecturer at the Department of Clinical Chemistry, Faculty of Allied Health Sciences, Chulalongkorn University. He obtained his PhD from Commonwealth University, USA and did his post doctorate study at Institute of Molecular Medicine and Genetics, Medical College of Georgia, Georgia Health Sciences University, Augusta, Georgia, USA. His research interests include genetic polymorphisms, transcriptional regulation, genome-wide screening and identification of diseased tissue. 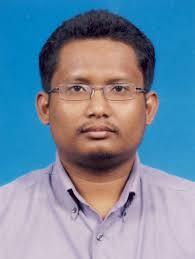 Prof. Basyaruddin is an expert in the area of catalysis chemistry. He has published in more than 400 papers and proceedings worldwide. He has 5 patents granted and 15 patents filed. Apart from research, he actively involved in outreach activities that encourages young kids to pursue their potentials in the field of science. 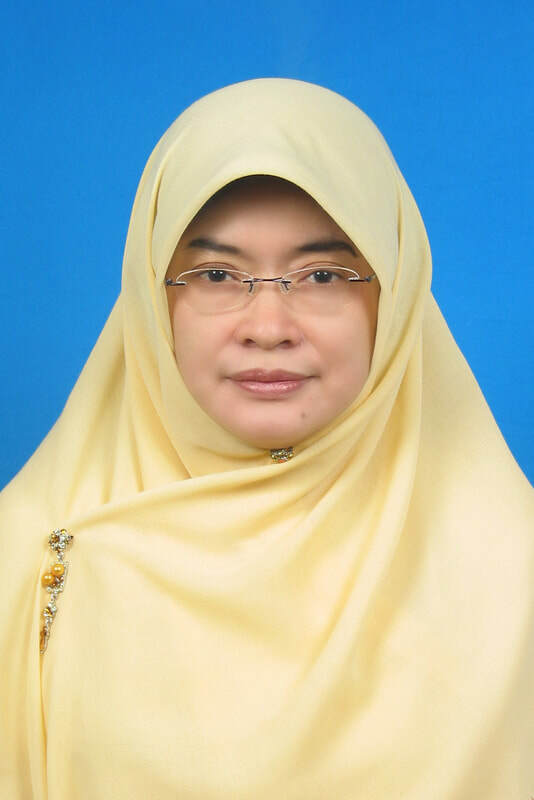 He was the Director of Structural and Synthetic Biology Research Centre, Malaysia Genome Institute and currently the Deputy Dean (Research and Graduate Studies) of Faculty of Science, Universiti Putra Malaysia. His research interest encompasses a broad area from chemistry to structural biology involving biocatalysis, protein engineering and molecular simulation. Deep interests include designing novel semisynthetic metalloenzymes and nanobiomaterials as industrial biocatalysts for various chemical reactions, emphasising in pharmaceuticals, oleochemicals and petrochemicals industries. These involve rational design, enzyme mimics and synthetic biology approaches. Prof. Naomie's main research goal is to design new algorithms to improve the effectiveness of searching and mining new knowledge from various kinds of datasets, including unstructured, semi-structured and structured databases. The current focus of her research is on chemical databases and text databases to support the process of computer-aided drug design, text summarisation, plagiarism detection, automatic information extraction, sentiment analysis and recommendation systems. The output of the research has been incorporated into a number of software such as UTMChem Workbench, KimiaSpace and NADI Natural Products Database System to support drug design and drug optimisation process, UTMCLPD Cross Language Plagiarism Detection System to summarise documents and check for plagiarism and Oricheck for cross-language idea similarity checking and plagiarism detection. She has been involved in 53 research projects out of which she heads 21 of the projects. She has authored over 170 journal articles. Among the research and innovation awards received by Prof. Naomie are the PECIPTA 2011 Gold Medal award for her UTMCLP cross-language semantic plagiarism detection system, the I-inova 2010 Gold Medal award for her Islamic Ontology-based Quran search engine, BioInnovation 2011 Bronze Award for UTMChem Workbench Molecular Database System, iPhex Gold Medal Award for innovation in teaching and learning, UTM 2011 Best Research Award, UTM 2014 Best Research Award and the INATEX Distinction Award (1998). She is a fellow of Japan Society for the Promotion of Science (JSPS) and heads the Soft Computing Research Group UTM. Prof. Mukram combines chemistry and biology to study carbohydrates, proteins and natural products/secondary metabolites. He focuses on applying organic and physical chemistry to solve problems in biology using in vitro and cell-based models. Complementary, he also employs biochemistry, cell and molecular biology in the service of chemistry with applications in organic synthesis, biophysical and structural analyses. Examples of both the chemistry to biology and biology to chemistry approaches include the primary (glycomics/proteomics) and tertiary structure determination of mainly carbohydrates (also proteins) by biochemical, spectroscopic, mass spectrometric(MS) and computational methods; chemical and enzymatic synthesis of carbohydrates; bioactive natural product isolation and focussed synthesis (semi-and total); and studying protein modifications such as deubiquitination, epigenetic-related methylation and acetylation, glycosylation and hydroxylation. 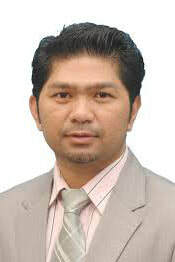 Prof. Shahir holds a PhD degree in Biological Sciences (Computational Biology) from the University of Exeter. 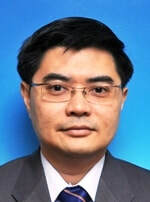 He is the editor for Jurnal Teknologi - Penerbit UTM and currently a professor at the Biological Sciences Department, Faculty of Bioscience & Bioengineering, Universiti Teknologi Malaysia. 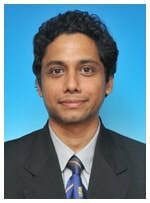 His main research interest is in the field of bioinformatics, where he has authored and co-authored article papers. (iii) additional layers of information encoded within the genome such as methylation and small hypothetical proteins (sORFs). The methods employed in exploring these key areas of interest include bioinformatics, computational biology, genomics and structural biology approaches. The insights revealed from these investigations can provide clues as to how molecular level regulation and responses in living systems eventually lead to an organism’s capacity to adapt to extreme (ie. extremophiles) or diverse environments (ie. pathogenic soil bacteria) as well as the discovery of novel factors that provide a molecular level mechanistic understanding of triggers and switching mechanisms that control and regulate pathogenesis.